Well, 2018 is off to a good start, so let’s talk about what is trending in fine jewelry this year. Who doesn’t want to be on top of all that is new in 2018? What will we say goodbye to as we take our jewelry selection in a different direction and move toward what is trending in fine jewelry. Drop earrings have been on trend for some time because they are elegant and can be worn many different ways. They are really what is to be worn in 2018. They are fun to wear for special occasions or an evening out on the town. However, a drop earring is also a good go-to for everyday wear, as well. Perhaps one reason drop earrings are what is trending in fine jewelry this year is that they look nice with an up-do or casual pullback hairstyle. They also flatter any face shape. Layered necklaces are also trending in fine jewelry this year. Keep it simple, though. You don’t want to wear many balky pieces. The most recent popular look is to pair bar necklaces and station necklaces to create a simple yet stylish combination. Antique jewelry is all the rage in 2018. 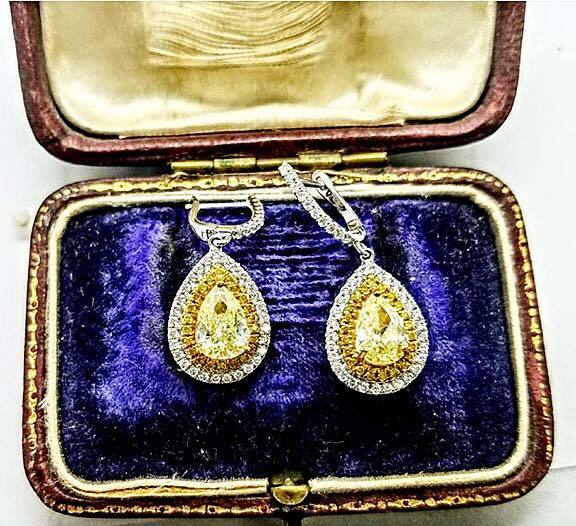 Of course, you know that Oletowne Jewelers specializes in fine and antique and estate jewelry. We can help you with all things trending in fine jewelry in 2018, but we can serve you like none other in this area, without a doubt. Antique jewelry offers a romance, sophistication and uniqueness that is incomparable to other pieces. It is fun to wear, can be bold or understated, and you can be sure no one else will be wearing it. Oletowne Jewelers is staffed with professionals who can assist you with choosing jewelry that will suite your needs and keep you on trend. We help you find something in stock or assist you with designing something that you will cherish forever. Stop by today to bring your personal fine jewelry selection up to date. Feel free to call us at 717-854-7788 or visit our website anytime.